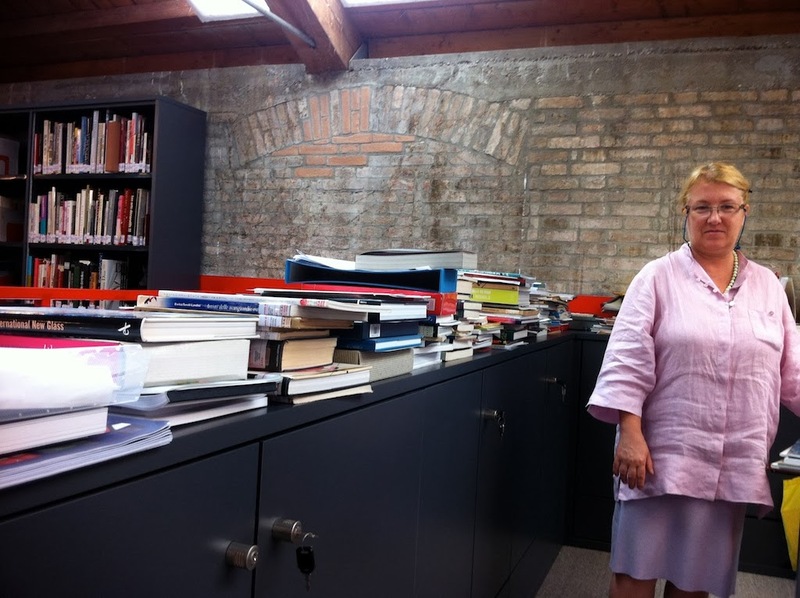 I had a lovely chat with warm and welcoming Erica, who has been with the Biennale Archives since 1993. Her role includes cataloguing, the title exchange program, and managing the editorial archive for Venice Biennale publications. She was kind enough to take a time away from the (lets face it- ubiquitous, never-ending, Sisyphean) cataloguing at hand to take me through some of their processes. I loved that her desk and cataloguing tasks were here, in an open plan office situated on the library floor (albeit in one of the many nooks of the library), streaming natural light upon her work. All too often cataloguing is a backroom, ghettoised task. Out here, you can at least be pestered by curious art library bloggers and other reprobates. Accession or perish. Erica's on the case.